Find out more about our business and training courses. 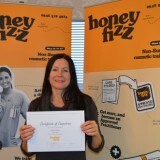 When you choose Honey Fizz to provide your Aesthetic Training, you are developing a partnership with a team of Aesthetic Practitioners who really care about high standards and who love sharing industry information. There are no secrets here, we want to tell you everything! Following any service we provide, the help and training does not stop there! Any queries you may have, no matter how small, you can contact us via our contact us page, call us on 0845 519 4823 or use any of our online mediums such as email, facebook, twitter, linked in or google+. Even if your question is a complex one, we will always find the answer! We also have a number of FREE resources for you to access, and we send out monthly newsletters that are written by our Managing Director to inform you of any legislation updates and also reminders of how to keep your business safe. Chantelle has been our go to person at goodsurgeonguide when it comes to myth busting the do's and dont's within the aesthetics industry. Chantelle's knowledge and ability to explain to the uneducated is unrivalled. Her passion for the aesthetics and maintaining standards with in the industry has led her to set up the aesthetics training academy. Having met with a few people who have attended the training course, some already practising in aesthetics and others new to it, all have said that they have come out of her training courses feeling better equipped and educated. On top of her talents she is a thoroughly lovely person and a pleasure to know. I cannot recommend her highly enough and wish her every success. 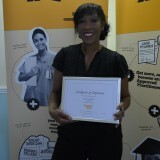 Chantalle Coombes is an excellent tutor. 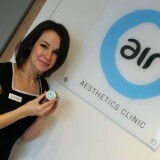 I came away from the course feeling confident and excited to begin a new career as a Medical Aesthetics Practitioner! I was apprehensive at first but quickly assimilated the technique and I'm certain I will use this still to great advantage. 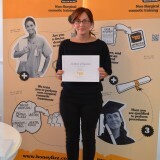 "Excellent course really enjoyed, felt at ease and good understanding to take away with me." 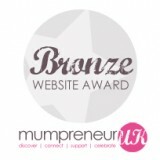 Honey Fizz are Winners of the Mumpreneur Bronze Website Award. Check out Mumpreneur UK here and as the UK's leading support network for mums in business, offering advice, resources, articles and events to parents who run their own business. "Your website was considered by three professionals within the online industry... and we are delighted to inform you that you have won! Congratulations!" 'This lady know's what she's talking about, listen to her! She's ace. Knowledge and skills extrodinaire'. I cannot recommend Chantalle highly enough! ....it really helps to have someone like Chantalle to help you when you're starting out. 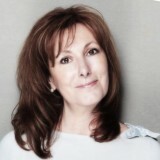 Her expert knowledge & experience gives you the confidence to make a success of your business. Thank you so much Chantalle. As a dentist of over 20 years experience but fairly new to the field of medical facial aesthetics I have found progress somewhat slow in practice, mainly due to my own lack of confidence in my practical technique, although I have attended a number of different courses. Having spent only a day with Chantalle, treating my own model and observing others, I can honestly say I have picked up many more essential practical tips. Chantalle clearly explains every small detail to ensure correct procedures and the results achieved are fantastic. I am going to be organising another mentoring session with Chantalle in the next few months and now feel a lot more confident to offer more advanced treatments to my patients. The best thing is the size of the group so we were able to participate instead of waiting our turn. Now I need to put it all into practice! Fantastic! I have completed aesthetic courses with other companies which are very highly rated but Aesthetic Academy plus were better by far! The course was not only enjoyable and informative but Chantalle made it easy to follow with her down to earth and lovely laid back manner! Furthermore, the after support offered by Chantalle and A Plus is invaluable. Highly recommended ! So glad I picked Aesthetics academy for my latest course. The course was very informative and enjoyable, Chantalle is very approachable and has given great support since attending the course. I would highly reccommend this company to anyone who is looking to enter the field of aesthetics. Excellent advanced filler course. Informative aswell as enjoyable. Chantalle was a fabulous teacher but also provided me with enough courage and confidence to go out and get started. You were like a 'breath of fresh air' and more than willing to share all your advice and encouragement with us, much appreciated Chantalle and hope to see you very soon on another course this year. I would highly recommend Aesthetic Academy to anyone thinking of starting training or furthering their skills in medical aesthetics. I have found Chantalle to be a great teacher who really cares.Thank you for all your advice support and encouragement. Thanx for your help and support, thouroughly enjoyed the 2 days training, and excited to start, fab teacher highly recommended, and look forward to seeing you again in the future for more training .